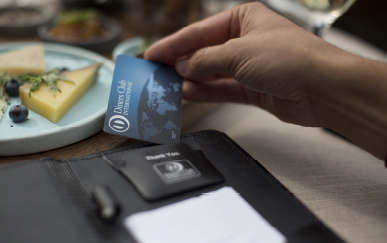 The Diners Club Corporate Card combines intelligent business solutions in the area of reporting and analysis with all of the advantages of Diners Club membership: a host of exclusive benefits to be enjoyed by you and your employees. An extraordinary reporting solution for global companies. Global Vision is the ideal processing tool for expense management data and reports. Allows for simple access to travel expenses and expenditures. The efficient expense management tool for small to medium-sized enterprises (SMEs): the Diners Club T&E Analyzer shows cost savings potential and provides for more transparency and control.